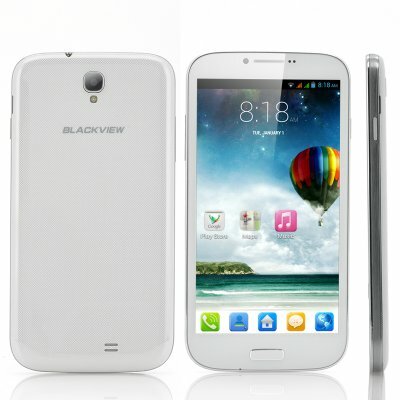 Successfully Added Blackview JK809 6 Inch Android 4.2 Phone - 1.5GHz Quad Core Processor, 1GB RAM, 8MP Camera (White) to your Shopping Cart. 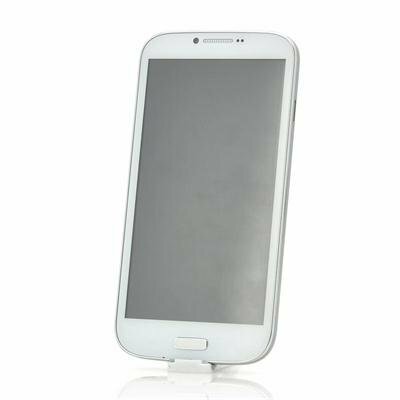 6 Inch Android 4.2 Phone with 1.5GHz Quad Core Processor, 1GB RAM, 8MP Camera rear camera and more. Size does matter. The first Blackview phones have arrived at Chinavasion and are set to leave a big impression. And by big, we mean real big. Coming with a large 6 Inch screen which boasts a 720p HD resolution, the Blackview JK809 is a real delight to use. Movies, games, pictures and everything else you are viewing on the screen will appear crystal clear and in a format which is easy to view. Despite the phone’s large size, the Blackview JK809 still lays comfortable in your hand and even fits in your pocket without problems. But a large screen alone doesn’t make a phone great and that’s why the Blackview JK809 is equipped with a top of the range 1.5GHz Quad Core CPU which, backed with 1GB of RAM, can take on virtually any app. Built for those avid phone users, the Blackview JK809 lets you easily switch between tasks, whether they are work related or leisure apps, and thanks to the large screen you will be able to take in more information at once with less scrolling. Furthermore, the Blackview JK809 is equipped with both a front and a rear camera which let you capture your treasured moment in an instance. 8GB of internal memory is provided on which you can store all your multimedia and should you find yourself running out of storage space you’ll always be able to insert a Micro SD Card to boost the memory. The large 6 Inch Blackview JK809 is now in stock and can be shipped out to you within one working day with a 12 months warranty. Brought to you by the leader in wholesale Android Phones, Chinavasion. THE WEIGHT is WRONG! WEIGHT 249!!!! I really like this phone it has a great 720p hd picture and the performance is wonderful I would not hesitate from buying another one well worth the money but I wish they would make a rubberized cover for it.